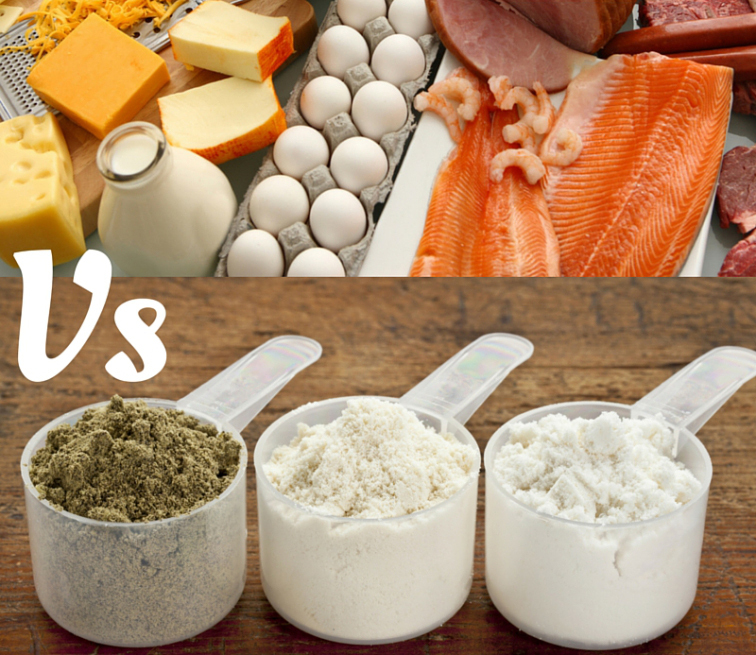 Protein Supplements Vs Real Food: What’s Superior For Athletes? Protein, especially supplements is always a hot topic amongst athletes wanting to; a) recover better from training and competition, and b) adapt better from their training to get bigger, fast and stronger. The question that constantly gets asked is; are protein supplements necessary, or can sufficient protein be consumed from the diet alone? The aim of consuming protein to benefit the aforementioned is to increase the rates of muscle protein synthesis (MPS) – This is essentially the body’s process of building and repairing muscle. Furthermore, maximising MPS can be achieved by consuming whey protein, whole food protein sources such as; eggs, fish, meat, dairy, and in vegetarian sources such as; soy, rice, quinoa, lentils, nuts, seed etc. From a practical standpoint, you’re not going to drink whey protein shakes all day. For example, approximately 30g of protein from whole foods such as lean beef (113g serving) appears to be just as effective. Interestingly, rates of MPS at the dose of 30g from whole foods in a meal (113g of lean beef – 220kcal) were just as effective as consuming 90g of protein in a meal (340g of lean beef – 660kcal). This suggests that there is an optimal dose for protein per meal with regards to maximally stimulating MPS. I.e. more doesn’t necessarily mean better when it comes to protein consumption. Furthermore, the additional food consumed will result in triple the calories; which may be unwanted if following a calorie restricted diet to induce fat loss. High protein intakes per meal above what has been stated may result in wastage (higher oxidation rates and urea production). Furthermore, it has also been reported that lower protein amounts, such as a large glass of whole milk (240-400mL) can produce similar results as consuming a whey protein shake after a bout of isolation exercises. In contrast, doubling the serving size of whey protein to 40g appears to be superior than 20g following a full body resistance training session. It can be postulated that this differential is a result of different types of training stimuli, i.e. whole body vs isolation exercises – An increased amount of muscle activated may require a higher dose of protein in order to increase rates of MPS. Lastly, vegan protein supplements such as rice protein are often considered to be inferior to non-vegan sources such as whey protein. However, both sources of protein elevate MPS, although a greater amount of vegan protein, such as rice protein (RPI) is required to reach the desired threshold – approx. 36g compared to 24g of whey protein (WPI). This is due to the lesser dose of the amino acid leucine found within vegan sources of protein. Therefore personal preference and values must be considered when opting for a certain protein source. However, the dose of the protein source must be considered as a determining factor. Since both protein supplements and food sources high in protein elevate MPS; what’s the verdict? A ‘food first’ approach is always encouraged for any performance, health or body composition related goal. However, protein supplements can be used to ‘fill in the gaps’ of a diet, where consuming sufficient food is unattainable or practical. Convenience. Often, schedules don’t allow for frequent consumption of protein rich meals, especially in sporting environments where training sessions are either prolonged or offer a very limited time to consume a meal between sessions. This is where protein powders can be used as meal replacements, as consuming a large, whole food meal between sessions (30-60 minute turn around) can cause gastrointestinal distress and affect subsequent training performances. Reaching higher protein intakes. For example, a 62kg weightlifter consuming approximately 2g per kilogram of bodyweight per day (124g of protein) can be easily achieved through food alone. However, a 120kg rugby player requiring the same amount of protein relative to his bodyweight (240g) is much less viable. The higher intake may need supplementing with protein powders in order to achieve the desired requirements. ‘Rescuing’ the protein content of food. Finding high quality protein snacks is difficult, therefore adding protein powders to homemade snacks such as protein pancakes, smoothies, flapjacks etc are great to increase the protein content of the diet. This will prevent diet monotony also as consuming eggs, meat and fish can become repetitive if following a higher meal frequency. In closing, since 10-15% of supplements bought off the shelf may contain a banned substance, such as a steroid or stimulant that is prohibited by WADA (World Anti Doping Agency). Ensure that any supplement purchased are HFL tested and regulated by Informed Sport as the risk of consuming a banned substance significantly decreases.